You can't help wondering what Her Majesty thinks of the arrogant dunderheads she's had to deal with since her Coronation in 1953. Since she came to the throne she's had 11 Prime Ministers, and almost without exception, they have all fallen short. In her name, and without a shot being fired, they have surrendered large chunks of national sovereignty to a fascist superstate ruled over by the very people we'd spent the previous thousand years defending ourselves against. They have taken Britain into illegal wars bringing nothing but pain. They've watered down our criminal justice system and permitted a massive upsurge in lawlessness. They've dumbed down our education system, destroyed our work ethic, and undermined our cultural integrity. Her Majesty's great-great grandmother would have been seriously unamused. But until now, she has at least been able to console herself with the thought that her subjects have benefited from an unprecedented rising tide of material prosperity. With one or two slight hiccups along the way, living standards have risen continuously throughout her reign. Overall, GDP per capita has trebled, an average annual growth rate of 2% pa. It has been an achievement without parallel in British history. Moreover, every one of her Prime Ministers - every single one - has left average incomes higher than they found them. Well, every Prime Minister until now, that is. 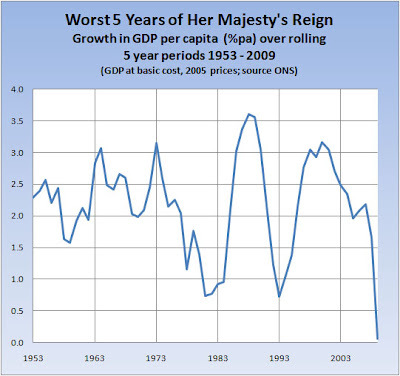 For the first time ever, Her Majesty has a Prime Minister who has presided over a fall in GDP per capita - and not a small fall either. Since the idiot Brown took over less than three years ago, per capita GDP has fallen by a catastrophic 5%. Please take a moment to absorb that list. Brown's record is miles worse that Callaghan's - despite all those Red Robbo strikes and the Winter of Discontent. And it's miles worse that Eden's - widely reckoned to be our worst post-WW2 PM. Indeed, the damage suffered under Brown has been so extensive, average incomes have now fallen back to their level five years ago - the most dismal five years we've seen since the Coronation. HM is no fool. She must be well aware what a complete dud Brown is. And just like the rest of us, she must watch the news, wondering HTF such an idiot can possibly be catching up in the polls. But unlike the rest of us, she can't really leave if he gets back. Instead, she'll have to sit there listening to another five years of his bullying lectures as her kingdom sinks into the abyss. PS The 1953 Coronation is Tyler's first memory. He watched it in a community hall alongside maybe a couple of hundred others. All staring at a 12 inch black and white telly. Kids today - they don't know they're born. Never mind what your politics are, and never mind that the ONS has revised up Q4 economic growth to 0.3% (whoopee! ), surely nobody can believe this government should remain in power. They are totally exhausted - out of energy, out of ideas, and out of credibility. Take the appalling case of Mid-Staffs NHS Trust. Here was a hospital that ticked all the boxes laid down by Labour's commissars, and got top marks. Yet for patients it was a hell-hole from which many did not escape alive. Even more disgusting, its managers continued to award each other chunky pay rises even as their patients were suffering - the Chief Exec got a near 20% rise between 2006 and 2008. Yet in terms of remedies, all Labour has to offer is a promise to shoot another cadre of managers, and to "ensure that lessons are learned"... again. "More than half of all child care planning and practice was "unacceptably poor'' with appalling record-keeping in relation to visits. Social workers were so caught up in paperwork – spending 80 per cent of their time at their desks – that contact with children was "limited'', meetings went unattended and there was little analysis of children's needs. Management were found to have turned a blind eye to these problems." Extraordinarily, nobody has yet been fired. But even if they are, none of us can really think that will get to the heart of the problem. Just as in the Baby P case, the poor schmucks working at the sharp end of child protection are swamped with so much Stuff loaded on them by the Commissars, that they have lost contact with the actual job they're supposed to be doing. Right across our public services we find similar stories - managers and workers who are so focused on meeting targets and ticking boxes dictated from above that they've lost touch with the job their supposed customers actually need doing. Of course, in times of plenty, the Commissars could attempt to correct for failure by simply adding a few extra quangos to refresh the parts other quangos could not reach. Which is one of the reasons why the public sector is rife with duplication, and why its productivity has underperformed the private sector so dismally. And we aren't in times of plenty any more. 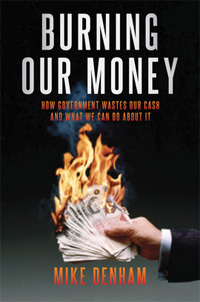 The money has run out, and going forward, the public sector has to produce more with less. There isn't a cat's chance of managing that unless we have fundamental reform. More Whitehall directives won't do it. More boxes to tick will simply mean more top rated hospitals turning out to be horror stories under the surface. More commissariat monitoring systems will simply mean less time for front-line staff to do their real jobs. We need to return power to the front-line: everyone now says they agree with that. But for that to work, we need to do two other things as well. First, the Commissars must be prepared to let go. And this current bunch have never shown the slightest willingness to do that. Second, spending power must be put into the hands of customers (or in the case of policing and social services, the hands of local voters). And this government has never shown any sign of even understanding the case for doing that. We need a fresh start and we need it right now. We may not agree with Mr Cam on everything, but at least he and his colleagues will be starting with a clean slate, and fully charged batteries. It will be a lot easier for them to embrace new thinking than the busted bunch of has-beens currently sitting in the big chairs. PS Last night we watched the final episode of Michael Cockerell's BBC TV series "The Great Offices of State" (watch again here). It was on Tyler's old employer HM Treasury, and Tyler found it strangely unsettling to see the film from the 1970s shot inside the old pre-Brown office, complete with red lino and state mental asylum style corridors. It was an interesting hour, but Jeeps, such bias. According to Cockerell, the Tories destroyed the economy, caused riots, and gave us Black Wednesday. Luckily for us, somehow the "economy grew". Yes, that was indeed very lucky. In contrast, the genius Brown was applauded in and out of the Treasury, made the Bank independent, kept important matters from blabbermouth Bliar, and was generally A Good Thing. It was just unfortunate that he was let down by a world financial crash and dim Treasury officials who failed to warn him it was coming. Can Cockerell really believe such guff? *Footnote - we've probably said this before, but George is going to need a swift cull at HMT. Officials who were so in love with the previous regime that they even stood and applauded, are officials who will useless in digging us out of the hole that regime created. Let's hope he's got some friends on the inside, and let's hope they've been keeping notes. No time for a proper blog today, but Tyler has just read George's Mais Lecture. Overall, it's rather encouraging - in fact, Tyler almost feels he could have written long passages himself. "A credible plan is not really credible unless you're prepared to make a start on it this year. The nature of confidence; the realities of financial markets; and the practicalities of government." And on the dangers of debt, George highlights some scary projections recently published by the Bank for International Settlements. They reckon that on current policies, the UK public sector has the worst fiscal outlook of any major economy. Tyler is somewhat reassured by this speech. It is a weightier offering than the kind of politicking stuff George has sometimes served up in the past. It may not have quantified targets for spending cuts, and we still need to see him adopt clear fiscal rules - including that all-important third rule to govern spending - but this speech does have the makings of a serious plan for government (and see the TPA view here). As regular readers will know, we have long called for the abolition of the £2.3bn pa Regional Development Agencies (eg see here). We have never seen any convincing evidence to suggest they have been successful in developing our struggling regional economies, and they have burned shedloads of taxpayers' money. "RDAs are unaccountable and unelected and they will be abolished – there is no doubt about that." What could be clearer? Hurrah! "...we also want to ensure Britain is one of the most competitive economies in which to do business in the future by... reforming the Regional Development Agencies to create a vibrant, business-focused force that is more responsive to local needs." Which is the kind of thing we've heard from the industrial policy lobby since well before DeLorean cars. "Cornwall-based Trewithen Dairy is set to increase its production by 80 per cent from 25m litres of milk a year to 44m, with the aid of a £5.7m grant received from the Rural Development Programme for England (RDPE). RDPE is jointly funded by the EU and Defra, and RDPE program specifically for this region are managed by the South West Regional Development Agency. Business support from RDPE is provided through the government's Solutions for Business services." "Essentially what they are saying is that the South West Regional Development agency is directly paying a small Dairy company to take on some of the Farmers who don't have a Milk Processor to sell to, following the collapse of Dairy Farmers of Britain last summer. Furthermore, it seems the Dairy is going to be able to use taxpayers cash to subsidise the price they are paying per litre for milk putting it at, possibly an unfair advantage against other local, or indeed national Dairy companies." He goes on to wonder why the RDA is doing this right at this moment? Could it possibly be to highlight for Tory leaning voters in the South West marginals just how much they'd lose if the SW RDA got abolished? Or to put it another way, is that why the Tories have backtracked so far on their RDA abolition pledge? No, surely we shouldn't be that cynical. Although it does make you think. And what it makes you think is that if you're going to promise tough choices, you have to be tough enough not only to make them, but also stick to them. Because - and stop me if you've heard this before - experience shows it's A LOT easier for governments to spend money than it is for them to stop spending it. Take Australia. It isn't so long ago that Oz was being held up as an example of a country where the government spent money far more carefully than ours. Under John Howard, the Oz government seemed to be pursuing policies which put taxpayer interests first, especially in the area of welfare benefits. And in surveys of public sector efficiency, Oz significantly outscored us. ...We were not the only ones wasting money. Associated with our section were those boffins who create public health campaigns, the ones that appear on television with increasing regularity: nights out turning into nightmares, measure your fat stomach, wash your hands - that kind of thing. I was surprised to discover the minds behind these campaigns were not health professionals. They had backgrounds and degrees in marketing, communications and advertising, not medicine. Under their watch, the government became the No.1 spender on free-to-air television. Next to those folks sat the print division. They produced hats, T-shirts, mugs and golf balls with little logos and slogans designed to make us all healthier. A huge collection of the stuff was proudly displayed in a dedicated glass cabinet in the middle of their section." No, I can't go on - you really must read it for yourself. And don't feel tempted to laugh at the unfortunate Aussies- our RDAs, our quangocracy, and our once serious offices of state, are all doing the same and much worse. And they're doing it with our money. Cam and George just have to get a grip. If they can't even stick to their guns on abolishing the RDAs, they will find it impossible to get anywhere near the £100bn spending cuts we're going to need. *Footnote As a Devon lad, Tyler naturally has a coronary-inducing love of clotted cream. 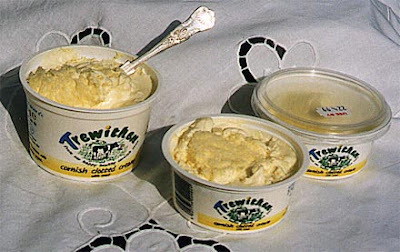 Unfortunately all you can buy in Sainsburys is Cornish clotted cream, which isn't anything like the real thing. Not that it matters much any more since Mrs T banned the Great Artery Clogger (except for one measily spoonful with the lo-cal Xmas pud). Are we too worried about the government's spiralling debts? According to the left-wing economics consensus the answer is yes. They reckon that gross debt of 83% of GDP, increasing at 11 percentage points pa (OECD projections), is perfectly sustainable into some unspecified "medium term". One of the arguments they use to support this line is that Britain has had much higher government debt in the past, and it didn't trigger a disaster. So let's take a look at the facts. As we can see, by the end of the very expensive Napoleonic Wars in 1815 our national debt had soared to over 250% of national income - an all-time record. It then took an entire century to get it back down to just 25% in 1914. At which point of course, Britain got involved in not one but two very expensive world wars, and the debt ratio soared again, reaching 240% of national income at the end of WW2. Then began another long decline, reaching 25% of GDP again by the beginning of the 90s. And we know the story since then all too well. There are two immediate points to make. First, all three of the previous spikes resulted from the need to pay for do-or-die wars - we really had no choice. Second, it takes a awful lot longer to reduce debt levels than it does to increase them - debt that takes a few years to incur takes decades to work off. Still, on the face of it, you might well think the left-wing economists have a point - we have had much more debt at various points in the past, and we always seem to have survived. But let's take a closer look at just how previous governments managed to work off the debts. Repayment - 19th century governments routinely repaid large amounts of debt - ie they ran budget surpluses. And in truth, there have also been three brief periods of repayment during Tyler's lifetime - first when Jenkins was forced to tighten fiscal policy after Labour's 1967 devaluation, second when My Brilliant Chancellor was at the controls in the late 80s, and third when Prudence was temporarily in charge during the late 90s. Default - Unlike many other governments around the world, HMG has not had an outright default since the 17th century. However, it has had quite a few partial defaults via what is known as debt conversion. The most recent was in 1932, when the National Government converted £2.1bn of War Loan paying a 5% coupon into a new loan paying just 3.5%, making all its holders significantly poorer at a stroke. Inflation tax - prior to the 1970s all HMG's debt was denominated in fixed money terms, and even today, the vast bulk of it still is. What that means is that governments have been able to work off their debts by engineering inflation - effectively a gigantic stealth tax on debt holders. Of course, that doesn't work with the inflation protected index-linked gilts introduced in the 70s, and crucially it doesn't work if the markets get their retaliation in first by hiking interest rates to compensate for anticipated inflation (see below). Growth - GDP growth is the holy grail of indebted governments. Growth makes a given amount of debt less significant relative to GDP and tax revenues with each passing year. It's a get-out-jail free card for both the borrower and the lender. The trouble is that highly indebted governments always find it difficult to stimulate and promote sustainable growth - in particular, they have little scope for tax cuts. In his book The Cash Nexus, historian Niall Ferguson estimates how important each of these factors has been over the last two centuries. Up until 1914, while there were a number of debt conversions, most of the work was done by honest-to-goodness repayment and GDP growth. With Britain on the gold standard, the inflation tax played virtually no part. What a contrast with the post-WW2 period. With the Gold Standard long-since ditched, governments of all complexions let rip with the printing press, and debt holders suffered horrifically. Ferguson estimates that in the half-century between 1947 and 1997, government debt increased by over 1200% in money terms. Yet because of inflation, in real terms the debt actually declined by 27%, which is one hell of an inflation tax. But although the inflation tax was very useful to HMG for several decades after WW2, it turned out there was a slight problem - after a while debt holders simply stopped trusting the government. Instead, they started demanding much higher interest rates on government debt to protect them against the inflation tax. Which meant that government had to issue even more debt to fund the higher debt servicing costs. As we can see, once investors lost confidence in the government's reliability, their angry reaction pushed the cost of HMG's borrowing way beyond anything that had ever been seen before - even in the panicky conditions of WW1. Which brings us to the key lesson for today. Back in the 19th century the government was able to fund its deficit at an average interest rate of well under 4% pa. Investors trusted gilts because Britain was the undisputed hub of the global capital market, inflation was controlled by adherence to the Gold Standard, and successive governments had demonstrated by their actions a strong commitment to fiscal discipline. Unfortunately, we're not in that world any more. Today, our capital market is just one small piece of a much larger global market, which is quite capable of hiking gilt yields back to double digits faster than you can say William Ewart Gladstone. And that's why we can take no comfort from the fact that HMG debts today look relatively low against past peaks. Because what really matters is not the quantum of debt per se, but what it costs to service that debt. Straightaway we can see a big difference from the simple debt chart shown earlier: the peaks from WW1, and especially WW2, are lower. That reflected the government's success in keeping down the rates they paid on their war debt. For example, during WW2 there was heavy reliance on forced saving of one kind or another, which was accepted because, well, there was a war on. But HMG most certainly couldn't pull a similar stunt today. The big peak in debt servicing costs was still at the end of the Napoleonic Wars, with HMG's interest costs pushed up to around 10% of GDP. On the face of it, that makes our current 3% look comfortable. 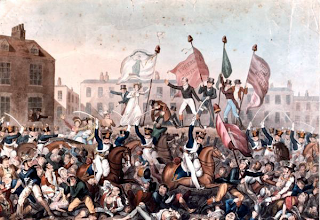 But we need to remember that the burden in 1815 proved completely insupportable. The heavy taxes required to pay the interest fuelled social unrest and a whole series of crises. Far from a comfort, it was in fact an unpleasant lesson to all subsequent 19th century governments about the perils of excessive government debt. Drawing this together, the key conclusion is that the past offers little comfort in our current predicament. Yes, there have been periods when our debts have been higher relative to GDP, but the key issue is not the debt itself but the cost of servicing it. And on that, the key driver will be the confidence of markets in HMG's commitment to fiscal discipline and low inflation. And always remember this: today's debt figures hugely understate the true extent of government debt. As we've blogged many times (eg here), unfunded public sector pension liabilities are currently in excess of £1 trillion, and other off-balance sheet Enron items like PFI add a further quarter-trillion. None of those liabilities existed to any serious extent in 1815, which means to get a true comparison we need to inflate today's debt-to-GDP ratio by around 75% of GDP, taking it up to about 150% (thanks to Andrew Lilico for reminding me to mention this - it's so easy to forget). We're right back to where we started, but you might care to reflect on the following grisly calculation. On the government's own official debt forecast - ie even ignoring the Enron items - if the market pushes gilt yields up to the same levels we saw in the 1970s, by the middle of the current decade, the debt servicing burden will increase beyond what it was at the end of the Napoleonic Wars. The tax consequences don't bear thinking about. Update: It turns out that BBC R4 The Long View is covering this very issue today - 9am repeated at 9.30pm. Worth a listen, if only for Prof Ferguson's contribution. Tyler has just finished reading Andrew Roberts' new history of WW2. It's actually rather disappointing, but as always there are bits of history that jump right out as being the tragic first run of some current farce. Take the wartime exploits of Comrade Stalin. In 1941, this supreme bully presided over a government and army so weakened by his horrific mismanagement that it pretty well imploded when confronted with the German invasion. As the German forces swept deep into Russia, Stalin - who had arrogantly ignored all previous warnings of the invasion - suffered some kind of breakdown. He was terrified that his fellow commissars would mount a coup against him and have him shot - just as he'd done with countless fellow citizens. The country was left leaderless in its hour of greatest peril. Yet the coup failed to materialise. His fellow commissars dithered and ducked and left the wounded monster in power. He may have spent the previous 10 years throwing mobile phones at them, he may have given the nation public services so hopeless they couldn't protect the country against invasion, and he may have bankrupted the economy with insane mega-projects that would never work. But they stuck with him. Or rather, by failing to act, they ended up getting stuck with him. Now, as it turned out, that was the probably the correct call. Well, it was probably the correct call if you didn't mind being one of the 26m Soviet citizens who died in the war, or one of the hundreds of millions of people who spent the next 50 years under a repressive dysfunctional Soviet dictatorship. And so to our current little problem. We surely all understand by now that Comrade Bean chucks mobiles, presides over appalling public services, and has bankrupted the country. We also understand that most of his fellow commissars believe him to be a liability. But neither they - nor it seems we - are prepared to shoot him. How can that be? With panzers at the gates we need a fighter not a lover. PS Please God we don't sleepwalk into this. If we do, the Tylers will be following future developments from some neutral country far far away. As we all know, if you lay 100 economists' letters end to end they still won't reach a conclusion. Except that this morning's two letters to the FT are packed with conclusions, especially the conclusion that we shouldn't cut public spending any time soon. "History is littered with examples of premature withdrawal of the government stimulus... Britain’s level of government debt is not out of control. The net debt relative to GDP is lower than the Group of Seven average, and on present government plans it will peak at 78 per cent of annual GDP in 2014-15, and then fall. 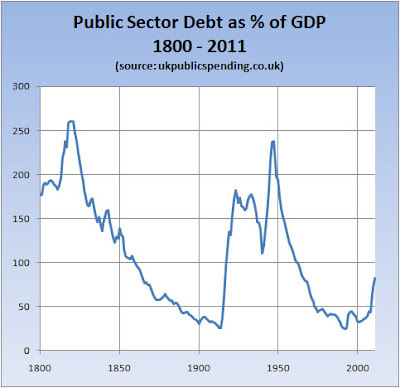 Even at its peak, the debt ratio will be lower than in the majority of peacetime years since 1815. Moreover British debt has a longer maturity than most other countries, and current interest rates on government debt at 4 per cent are also low by recent standards." "In urging a faster pace of deficit reduction to reassure the financial markets, the signatories of the Sunday Times letter implicitly accept as binding the views of the same financial markets whose mistakes precipitated the crisis in the first place! They seek to frighten us with the present level of the deficit but mention neither the automatic reduction that will be achieved as and when growth is resumed nor the effects of growth on investor confidence. How do the letter’s signatories imagine foreign creditors will react if implementing fierce spending cuts tips the economy back into recession?" Ah yes, the confidence thing. As the great John Maynard told us all those years ago, confidence is key. Because without confidence, investors will not invest and consumers will not consume. 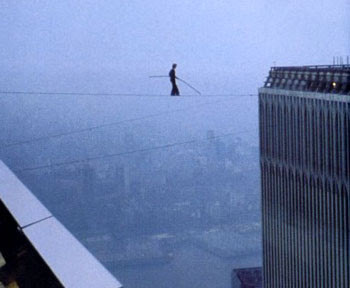 Without confidence we face falling off the economic tightrope. Everyone can see that. But the thing nobody has ever really got on top of is what exactly generates that confidence. And in particular, can deficit spending by governments do the trick? According to today's economist letters, it can. And in fact, if such spending is cut prematurely, it risks undermining what confidence there is, sending us plunging to our certain doom. But according to Sunday's economist letter, it is likely to have precisely the opposite effect. Deficit spending means high government borrowing which risks undermining confidence in financial markets, racking up interest rates and sending us plunging to our certain doom. In truth, we don't know. It's always possible that Layard and Skidelsky are right. But they don't know any more than we do. Meanwhile, they seem extraordinarily unconcerned about the way the government is running up debt. Sure, on Darling's projections the debt will peak in 2014-15 and then start falling, but does anyone actually believe Darling's wildly optimistic assumptions on growth? Or indeed, his ability to deliver on the unspecified spending cuts he's assuming? Let's just remind ourselves of that most inconvenient truth: the government is spending way beyond its means. And we're not talking about the fact that tax revenues have fallen because of the recession. No, we're talking about the fact that idiot Brown pushed public spending way beyond what the government's tax revenues could support even before the recession came along. Between 2000 and 2008, he increased public spending's share of GDP by an extraordinary 11 percentage points, far beyond what the economy could sustain. That lunacy has left us with a huge structural fiscal deficit, that the OECD estimates to be nearly 10% of our GDP. So the vast bulk of our 13% total deficit this year is structural - ie nothing to do with the impact of the recession on tax receipts and social security payments. And what that means - quite horribly - is that the eventual recovery from this Great Recession will not actually eliminate the deficit. We will still have to address this structural defict of 10% of GDP (c £150bn pa). Now Layard et al sort of suggest that actually they do know that. It's just that they don't want to tackle the problem while the recession is continuing. But the difficulty is that every year we delay means another £150bn added to government debt. And at the current gilt yield of around 4.7% that's another £7bn pa in debt interest payments. One other thing - there's been a lot of complacent talk about how our debt situation was a lot worse in 1815 and how that never did us any harm (eg see Layard's letter above). But the world was very different back in the days of the Iron Duke, and HMG was able shaft gilt-holders in ways that would blow up in its face today (eg forcing investors to accept lower interest payments). We are investigating further and will report back. The first January fiscal deficit since the Black Death. The month when all those lovely Corporation Tax payments, and all those lovely self-assessment income tax cheques are supposed to come in, has instead turned into the Black Hole of Death. Tyler's back-of-envelope says that we're now on course for 2009-10 total borrowing of £180-185bn, compared to Darling's latest forecast of £178bn. Well, that's not so bad, you say. Only another few bill. Hardly the Black Hole of Death. Which just about says it all - we are now so used to fiscal meltdown, even borrowing in January can't shock us. I've just watched Prof "Happiness" Blanchflower on C4 News telling us once again why we should just carry on borrowing. Apparently the government can spend and borrow us back to prosperity. And the alarming thing is that a lot of normally quite sensible people are still saying exactly the same thing. I'm currently taking another long look at our debt history to see if I've missed something. Blog to follow. 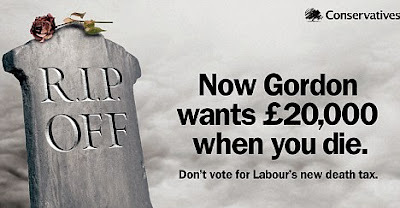 As you will know, Labour have turned HMG into the UK's biggest advertiser - £540m in 2008-09 - and these Defra ads are absolutely par for the course. "Many of these have been on several times. This is in addition to the many adverts on TV too - for example suggesting that we mind our speed and start driving shorter distances. It annoys me that my taxes are being used to lecture me about how I manage my life in general. But the radio ad that takes the biscuit is the Community Support Officer ad by the Met Police. It simply states what a great idea they are!" So that's another £540m pa for the savings pot. And we will be very upset indeed if these ads or similar stay on the air after May. Yesterday Tyler had a haircut. As usual he went to a shop owned and staffed by the Surrey Italians, one of a small local chain that's operated here for decades. But for the first time ever, his hair was cut by Il Padrone, the man who set up and owns the biz. Was there a problem? "Certainly there's a problem. Our takings are down 30%, the landlords won't cut the rent, and our bills are going through the roof." "30%? But why are your takings down that much? 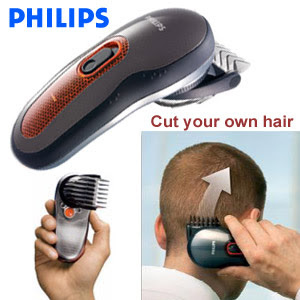 Surely people always need haircuts." "Yes, but we used to do all the office workers here in town, and they're losing their jobs, or getting moved out to cheaper places. Hundreds have gone. Surely you've seen all the empty shops round here. Things are bad. We're all working part-time." "Well, at least you're not facing competition from China - I mean, we can't import haircuts." "What! We don't need to import haircuts. The Chinese hairdressers are coming over here - loads of them - they've just opened a new shop down the road. We simply can't compete." As all undergraduate economists will know, in international trade theory, haircuts are always quoted as the example of something that cannot be traded internationally - the fact that haircuts are cheap in Shanghai is supposed to be irrelevant if you live in Guildford. But once you factor in NuLab-style unrestricted migration, that simple truth no longer holds. And as we've blogged before, it's often the previous generation of immigrants who really feel the pain of fiercer competition from the new migrants. So what are we to make of today's employment stats? The headlines are grim enough, with both the claimant count and the number of long-term unemployed jumping to a 13-year pre-Lab high - ie both are now worse than they were before Brown's economic miracle got going. But what's going on beneath the headlines is just as worrying. Over the last 18 months (Q2 2008 to Q4 2009), the number of people in jobs has fallen by 630,000. But at the same time, the number of people of working age has increased by 270,000. So the number of people of working age who don't have a job has shot up by nearly one million. What's more, even among those who do have jobs, the number only working part-time has increased by 180,000 - ie the number of full-time jobs is down by 810,000. Or to put it another way, since the bubble burst, the proportion of the working age population in full-time employment has already fallen from 58.4% to 55.9%. The question is though, where do we go from here? The Tories built the platform for Labour's jobs growth, with their resolution of the union problem and trail-blazing cuts in corporate and income taxes. But that's all history now. Labour is bequeathing Cam a disastrous jobs legacy, including a hike in the jobs tax (NI going up to 25.8%), and the jobs-destroying revenue-losing 50p income tax rate. On top of which, of course, tens of thousands of Labour's public sector non-jobs will have to be scrapped. When it comes to incomes and employment, Tyler's hairdressers are not going to be the only ones taking a serious haircut. Whether it's Chinese barbers or higher taxes, the pressure on jobs is back again. And it's going to be with us for years. This is getting scary. CPI inflation has jumped to 3.5% - 1.5% above the 2% target; RPI inflation is up to 3.7%, and RPIX inflation (ie RPI excluding mortgage costs) is up to a belting 4.6%. Yet according to the Governor, there is no need for alarm. According to him, this is a temporary spike caused by the reversal of the VAT cut, a 70% year-on-year hike in oil prices, and the depreciation of sterling in 2007 and 2008. Indeed, rather than focusing on the upside risks to inflation, his letter is much more concerned to assure us that he stands ready to refire the printing press should inflation fall too much. The trouble is, the rest of us - especially those dependent on pensions and savings - are not at all comforted by the Governor's assurances. Let's just remind ourselves of the Bank's inflation record since the 2% CPI target was set in December 2003. The following chart shows the rolling 12 month CPI inflation rate against the 2% target and the 2.4% average inflation rate actually achieved by the Bank over the period as a whole. Yes, that's right - despite all that alarmist talk about deflation, the Bank still failed to hit its 2% target, overshooting by an average 0.4% pa. This is not a great record. As we can see, the Bank's grip on inflation has been far from secure. They got so lax in the run-up to the Crash that in September 2008 inflation broke through 5% - two-and-half times their 2% target. Indeed, there are those who argue that if the Crash had not come along at that very moment, the Bank would have had considerable difficulty getting back on track. And remember too that this period was fairly benign in terms of the global background. For example in the Eurozone inflation averaged just 2% pa.
What's going to happen if, driven by China and the other BRICS, world commodity prices remain under upward pressure. And what if a deeply indebted US government carries on running the dollar presses, just as it did to finance its Vietnam/Great Society spending splurge in the 70s? And most of all, what's going to happen if the markets take fright and whack sterling again? I'll tell you what's going to happen - far from behaving in the orderly way that the Bank and Will Hutton describe, our inflation rate will lurch upwards. The stomach knotting truth is that the Bank is losing its commitment to low and stable inflation. Given all the uncertainties, it is much more willing to see inflation overshoot than to risk being accused of nuking GDP growth. But as we've blogged many times, in anything other than the short-term, you cannot sustain GDP growth by cranking the printing presses. We remember the 1970s; they got very bumpy indeed. And the big lesson was that inflation really does matter. Not only does it rip the faces off pensioners, widows and orphans: it also undermines confidence and investment, with devastating consequences for growth. Just like NuEverything, New Bibles don't like to mention the word tax. Much better to call it something else, like census*. NuLabour have been absolute shockers at this, deploying all manner of weasel words to disguise swingeing increases in taxation. Stealth taxes have been at the very heart of their approach to public finance. Take National Insurance. The very term is a serious misnomer, because whatever the original Beveridge intentions may have been, these days National Insurance is simply weaselspeak for Jobs Tax. And whereas Labour inherited a combined employer and employee NI contribution rate of 20% (contracted in), as from next April (2011), the rate will be 25.8%, an uplift of well over one-quarter. Combining that with their stealth changes in NI contribution bands, by next year Labour will have increased the Jobs Tax by around 120% since coming to power. And to put that in context, money GDP will have increased by only 85%. Or take the issue of charging for services that were once "free" or heavily subsidised. From passports, to planning applications, to dentistry, charges have been soaring. As we blogged here, local authorities have been prime movers in this. Over the decade to 2007-08, Council Tax in England rose by 80%, more than four times the general rate of CPI inflation. Yet at the same time, councils increased service charges - for everything from parking to pest control - by 120%, about seven times the general inflation rate. And the revenue from charges is big - it's now equivalent to over 50% of that raised from Council Tax itself. Now, as a matter of principle, we actually applaud charging for services - as far as possible, users should pay for the services they use. But what sticks in our craw is that we're effectively being charged twice over. Charges have risen but taxes haven't been cut. In reality, there has been a disguised increase in taxation. And now we've got this row over the new Death Tax, or compulsory levy as Health Secretary Burnham wants us to call it. What exactly is meant to be the difference between a compulsory levy and a tax? Presumably it's the same sort of difference that distinguishes the Telly Tax from a tax - ie in economic substance there is no difference (which is why the ONS now categorises the TV licence as a tax). 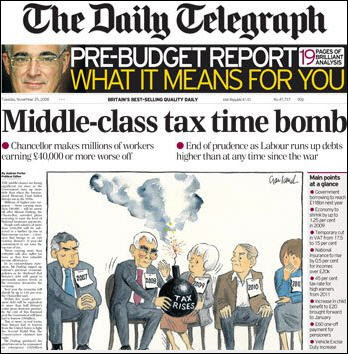 Of course, we all know why Burnham doesn't want to call it a tax - it's the same old stealthy tax spin that won Labour three elections. But in these final dying days, he's surely lost the plot. Because to us "compulsory levy" sounds even worse than the good old English T word - it sounds more like the kind of thing the Sheriff of Nottingham used to impose on the oppressed villagers of Sherwood, right alongside other abominable foreign practices like droit de seigneur. PS Despite all the flak he's taken, Lansley was quite right to walk away from the supposed cross-party consensus stitch-up on this new tax. We all understand that care for the elderly is a growing problem, and it's getting increasingly expensive. But why should it always be taxpayers who have to step into the breach? Why can't we say that individuals and families have to find ways of funding this care for themselves? Of course, there will always be some people who will ultimately need taxpayer help, but we must draw a line that says people are expected to help themselves. Taxpayers cannot be loaded up with yet another long-term funding disaster. And there needs to be an open political debate about this, not some back room deal. *Scriptural authority note Yes, yes, we know it was a census. But the only reason Augustus ordered a census was so he could tax everyone more thoroughly. He'd got fed up with being ripped off by sub-contracting tax-farmers, and wanted his own tax collectors operating on a properly documented accountable basis. He was in fact the man who invented modern taxation, including a death tax, which was set at 5% to fund retirement pensions for Roman soldiers. More than a passing resemblance to Bliar Imp. Tyler has just discovered what's been ailing him all these years. It's called coulrophobia - a morbid fear of clowns - and apparently P Diddy (whoever he is) suffers from it. Suddenly it all makes sense. As you will not need reminding, the country is currently in the clutches of the most terrrifying bunch of clowns ever to escape from a high security Big Top. Coulrophobia - no wonder we're hiding under the bed. And what a petrifying routine our clowns have subjected us to these last 13 years. They've robbed us blind, screwed up our public services, undermined our culture, taken us into dodgy foreign wars, and left us with an old jalopy of an economy that can't even make it out of the ring. But you know, the really scary thought is that the next act might not be a whole lot better. Whereas you and I hoped we'd be rescued by a lion-tamer, or at the very least a fire-eater, you can't help worrying it might just be another bunch of scary clowns. What's especially scary is the thought that they might shy away from actually fixing the jalopy, settling for yet more tinkering instead. And recent statements about repairs not needing to be "particularly extensive" have given our nerves a right old jangling. Or are we being irrational - another bout of coulrophobia? No. The danger is all too real, and this morning we've got another of those famous open letters from the economics establishment spelling out why. Its 20 signatories include the former chief economist of the International Monetary Fund, a former deputy governor of the Bank of England and head of the Financial Services Authority, and a former permanent secretary to the Treasury and cabinet secretary. For balance, they also include a Labour peer, who is also Britain's best-known Marxian economist. "...there is a risk that a loss of confidence in the UK’s economic policy framework will contribute to higher long-term interest rates and/or currency instability, which could undermine the recovery. In order to minimise this risk and support a sustainable recovery, the next government should set out a detailed plan to reduce the structural budget deficit more quickly than set out in the 2009 pre-budget report. ...the government’s goal should be to eliminate the structural current budget deficit over the course of a parliament, and there is a compelling case... for the first measures beginning to take effect in the 2010-11 fiscal year. ...introduce more independence into the generation of fiscal forecasts and the scrutiny of the government’s performance against its stated fiscal goals." So... an immediate start, elimination of the entire structural deficit (10% of GDP) over 5 years, emphasis on spending cuts not tax increases, and independent fiscal oversight. True, there's nothing here we haven't blogged many times on BOM. But the point about these 20 economists is that they can't all be coulrophobics. We need a lion-tamer, and we need him quick. the music stops and the big government players start screaming that it's all someone else's fault and that anyone who's still got any money has got to hand it over in tax. Something really horrible is underway: taxpayers in the big western economies are being stuffed with everyone else's bad debts. Here in Britain, we've already had to bail out the bankers, and now - whatever Darling may say - we're at risk of having to bail out the PIIGS. 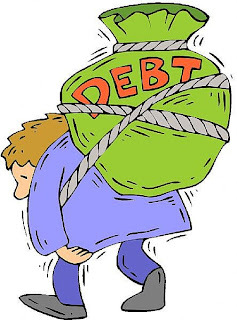 Much more fundamentally, the longer the government borrows on the current humongous scale, the bigger the debt burden that will be loaded onto our backs for decades to come. Now there are those who say right now we need the government to run a big deficit, because everyone else wants to run a surplus. That is to say, individuals and companies are slashing their spending in order to repay their own debts, and if government wasn't prepared to fill the gap, aggregate spending (aka demand) would collapse. You will recognise good old textbook Keynesianism. But this argument overlooks a most incovenient truth. Which is that in the Keynesian textbook, government runs a temporary deficit to get the economy through a temporary (ie a cyclical) weakness of private sector demand. However, our current situation is that we're facing a permanent cut in private sector demand, reflecting a permanent cut in our GDP. The cut comes about because around 6% of our GDP was wiped out by the collapse of the bubble and its associated jobs and profits (and 6% is HMT's figure - it could be higher). It will not return. And what that means is that however much we might like to shore up demand in the economy, we simply don't have the necessary level of national income to support the current rate of government spending. Sure, in the short-term, the government can continue to fund it by borrowing 13% of our GDP. But at some unknown point - call it 24 hours after George delivers a weak budget in June - the cost of that funding will shoot up as the markets take fright. "Explosions of public debt hurt economies in the following way, as numerous empirical studies have shown. 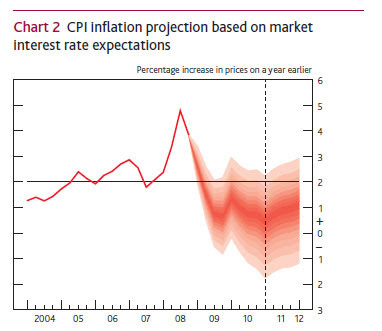 By raising fears of default and/or currency depreciation ahead of actual inflation, they push up real interest rates. Higher real rates, in turn, act as drag on growth, especially when the private sector is also heavily indebted – as is the case in most western economies, not least the US. Although the US household savings rate has risen since the Great Recession began, it has not risen enough to absorb a trillion dollars of net Treasury issuance a year. Only two things have thus far stood between the US and higher bond yields: purchases of Treasuries (and mortgage-backed securities, which many sellers essentially swapped for Treasuries) by the Federal Reserve and reserve accumulation by the Chinese monetary authorities." In terms of fiscal malaise, our situation is actually worse than the US. But Fergusson's piece highlights the global nature of the crisis. When the US catches a dose of higher bond yields - as it surely will - we will go down with a bout of double debt pneumonia. Yes, I know - I'm getting my metaphors in a twist again. But frankly, that's not surprising - the grim prospect of double digit bond yields on our vast mountain of government debt is enough to twist anyone's metaphors. Does The Swedish Model Actually Work? As regular BOM readers will know, Tyler is a big fan of the Swedish free schools model - the one that allows new independent schools to set up in competition with local authority schools, and then lets parents choose whether to have their children educated in an authority school or have the authority pay for a place at the free school. Choice and competition to drive improvement - what could be better? Which is why Tyler is so excited about the Tories' promise to adopt roughly the same model in the UK. So you can imagine Tyler's distress at Monday's Newsnight report which basically said the Swedish model is failing in Sweden itself, and has not delivered the improvement in standards supporters claim (you can watch the report here, along with Gove's somewhat back-footed response here). The basic charge seemed to be that, while the new free schools are fantastically popular with parents, those parents are the very same pushy bourgeois elements that are the bane of commissariat life everywhere. And while the new schools may help their pampered undeserving offspring, everyone else gets left behind. With the result that in the international league tables of scholastic achievement, Sweden is now actually falling back. Can that possibly be true? Tyler scrabbled around on the internet for the international league tables. The best known of these is the OECD's Programme for International Student Assessment (PISA), which applies a consistent set of student tests in reading, maths, and science to 15 year-old pupils across (now) 57 participating countries. And so far, there have been three PISA surveys, the first in 2000. We blogged the latest 2006 study here, focusing on the alarming plunge in the relative performance of English schools. But how did Sweden do? It turns out that Sweden beat England in reading and maths, but fell below in science (see league tables here). Overall, Sweden was ranked 10th in reading, 21st in maths, and 22nd in science (out of 57 countries). So is that a decline over time? Here are Sweden's league positions from the first PISA in 2000: reading 9th, maths 15th, science 10th. Which would indeed seem to indicate a decline. However, when you look at the two league tables more closely, you find that it's less a question of Sweden falling back, and more a question of some sparkling new entrants joining the PISA programme since 2000, and going straight into the top ten. These include countries like Hong Kong-China, Macao-China, Taiwan, and some of the new EU members from the East. It seems to be the survey itself that's changed, recognising for the first time the huge competitive challenge all the decrepit old western economies are now facing. So what's the truth about progress in Sweden? How can we find out? "The Network aims to improve the quality of education – particularly for the most deprived – by increasing the number of independent, innovative schools within the state sector. Schools should drive social mobility. Talent and hard work, not background, should determine success. Yet successive governments – of all parties – have failed to make opportunity equal in our schools. The wealthy can buy a good education - paying for private schools or by buying a house in the right neighbourhood. Others are denied those options. The Network believes that allowing new schools – accountable to government, but not run by politicians – will raise achievement across the country. We will help groups who want to set up new schools, and work to create the conditions which allow them to succeed." Students in Swedish free schools get much better scores than in traditional schools. The Grade Point Average (GPA) in free schools is 20 points higher than in state schools. Swedish free schools improve standards across the local authority. Several studies have found that an increase in the number of children attending free schools improves performance across the area. A study by Anders Bohlmark and Mikael Lindahl of Stokholm University found that an increase in the percentage of free schools in an area increased pupil performance across all schools. Most of this increase was due to competition in the school sector, forcing all schools to improve their quality. Åsa Ahlin of Uppsala University found that a ten per cent increase in the number of children attending free schools led to a five per cent increase in Mathematics performance across the area. Similarly, the National Agency for Education found that municipalities with larger proportions of pupils in independent schools were more likely to say that the presence of independent schools in their jurisdiction had contributed to school improvement in compulsory schools in their municipalities. Parents are happier with new independent Swedish schools. 91 per cent of parents whose children attend free schools are happy with the results compared to just 63 per cent of parents at state schools. Parents think independent schools are a good idea. The Swedish National Agency for Education has found that more than 90 per cent of parents think that parents and children should get to choose what school children attend. More than half of parents think it is good for schools to compete with one another. Now it is true that a full assessment of Swedish experience is hampered by the fact that until very recently, there has been a dearth of standardised testing across all schools. But what evidence there is looks pretty compelling to Tyler. And as NSN quite correctly point out, there is considerably more evidence on the results of very similar reforms in the US - ie their Charter Schools. And that evidence is unambiguous - choice and competition really does lift all boats, both in the new independent Charter Schools, and in the remaining state schools. The bottom line is that Tyler is now even more convinced this is the way to go. As we've blogged many times, Gove and Cam must be prepared for huge opposition, both from the teaching unions, and it seems from the state broadcaster. But they must press on. The PISA study underlines that we face fearsome competition from the new players in the global economy, several of whom seem to do better in education than we do. We really have no option - we need to secure the very best educational opportunities we can possibly provide for all our kids - not just the rich ones. *Footnote - the chart is taken from this Policy Exchange paper. It shows the average grade scores in the independent Kunskapsskolan chain of schools, compared against the average scores across all the schools in the municipalities in which they operate, and also the national averages. 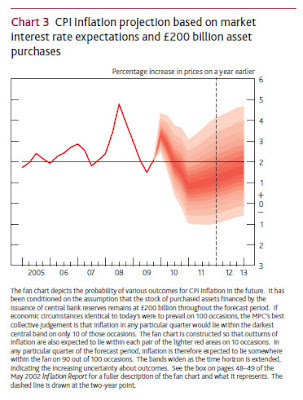 A year ago, just before the Bank fired up its £200bn printing press, they expected inflation to fall into the range 0-1% pa, with a significant risk of outright deflation (charts relate to Consumer Price Index - CPI). Today, they have revised up their figures to reflect the fact that inflation is currently running at just under 3% pa, and far from falling, is heading higher. It seems that inflation has refused to die despite the demise of our dear old friend GDP growth. Undaunted, the Bank reckons inflation will soon fall back again, with apparently still something like a 20% chance of outright deflation. Yet we know that sterling commodity prices are up 19% year-on-year, and we know that producer output price inflation has already accelerated to 4%. "In the big lie there is always a certain force of credibility; because the broad masses of a nation are always more easily corrupted in the deeper strata of their emotional nature than consciously or voluntarily; and thus in the primitive simplicity of their minds they more readily fall victims to the big lie than the small lie, since they themselves... would be ashamed to resort to large-scale falsehoods. It would never come into their heads to fabricate colossal untruths, and they would not believe that others could have the impudence to distort the truth so infamously. Even though the facts which prove this to be so may be brought clearly to their minds, they will still doubt and waver and will continue to think that there may be some other explanation. For the grossly impudent lie always leaves traces behind it, even after it has been nailed down, a fact which is known to all expert liars in this world and to all who conspire together in the art of lying." So said one of the foremost experts on lying*. For real impact and lasting effect, you have to lie big. And boy, has Labour lied BIG. This morning brings the latest revelations concerning their Big Migration Lie. For years Labour told us that we needed mass immigration in order to make us richer. There was never any serious evidence to support the argument, but ministers routinely spouted it. It now seems that the economic case was always just a Big Lie, and their real reason for encouraging the influx was to irreversibly transform British culture and society. ...It seems there was a project led by Downing Street political advisers to introduce a secret policy of mass immigration. Their economic arguments surfaced in an obscure research document but the social objective of greatly increased diversity was entirely suppressed for fear of public reaction – especially from the white working class. ... One point to consider is the impact on the electorate. It is not generally realised that Commonwealth citizens legally in Britain acquire the right to vote in general elections as soon as they put their names on the electoral register. In Labour years we have now seen an additional 300,000 from the Old Commonwealth and about one million from the New Commonwealth. They may well have been conscious that they have much stronger support among the ethnic communities than their Conservative rivals. Given that mass immigration is heavily in Labour’s electoral interest, they may have thought that they could get away with it." It's so outrageous, you just know it's true. An almost exact replay of the old economic snow job that took us into the EU: we were sold the EU on the basis that membership would make us richer, whereas in truth, the ruling elite wanted us in so they could be part of the new Superstate, continuing to enjoy a seat at that all-important top table. And then there's the Great Global Warming Lie. As we've blogged many times, nobody seriously doubts the climate is changing - it changes all the time - but by promoting the unproven assertion that it's man/capitalism that's responsible for frying the planet, Labour has sought to validate its entire agenda of state control and high taxation. This is socialism disguised as saving the planet. Worse, even though much of this lie is now unravelling in the face of climategate and the dodgy IPCC reports, ministers and their supporters at the state broadcaster are still spouting the same old stuff as if nothing had happened. Just like good old Doc Goebbels advised, they're trying to spin the issue into one of dark forces seeking to extinguish the sacred torch of truth. Of course, the Global Warming Lie pales into insignificance beside the damnable lies concocted to justify the Iraq War. In another performance straight out of the Doc's playbook, they justified an illegal war on the basis of the dodgiest of dodgy dossiers presented to us as being "beyond doubt". But the important things about the Iraq lies is that they have come back to bite the perpetrators. The Major was immensely encouraged to see the odious spinmeister Campbell breaking down on the Andy Marr show. Confronted with the facts, Campbell slumped into embittered victimhood, losing any final shred of authority and credibility in the process. Or as the Major put it "they can dish it out, but they sure can't take it". Which is why we need to see much more of this. We need to see the Big Liars confronted and humiliated. We need our politicos to understand that Big Lies have big downsides. We simply can't afford another government like this one. *Footnote Yes, you're quite right: it is indeed Hitler's Mein Kampf.